Tacos file with roasted corn and melted cheese dip along with avocado and fresh pico de gallo! 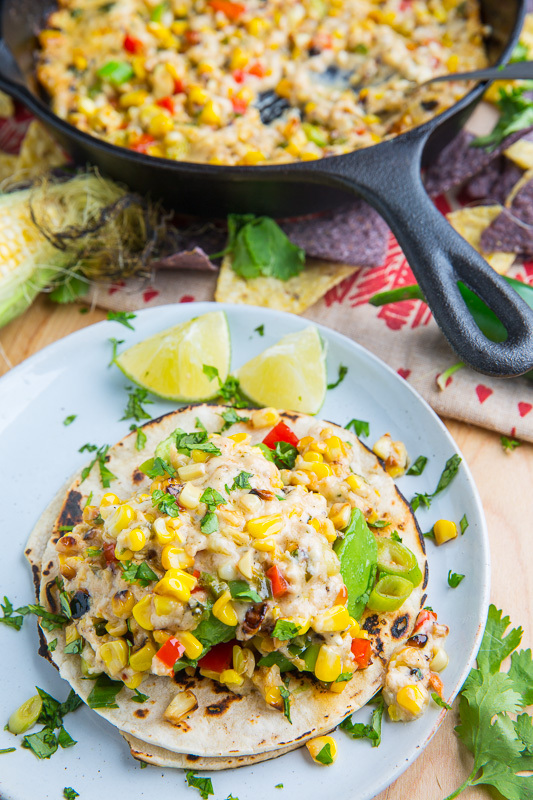 I am a huge fan on queso fundido, a melted cheese dish, especially in the summer filled with plenty of roasted corn. One day while enjoying some I could not help but think that it would make for a perfect taco filling! 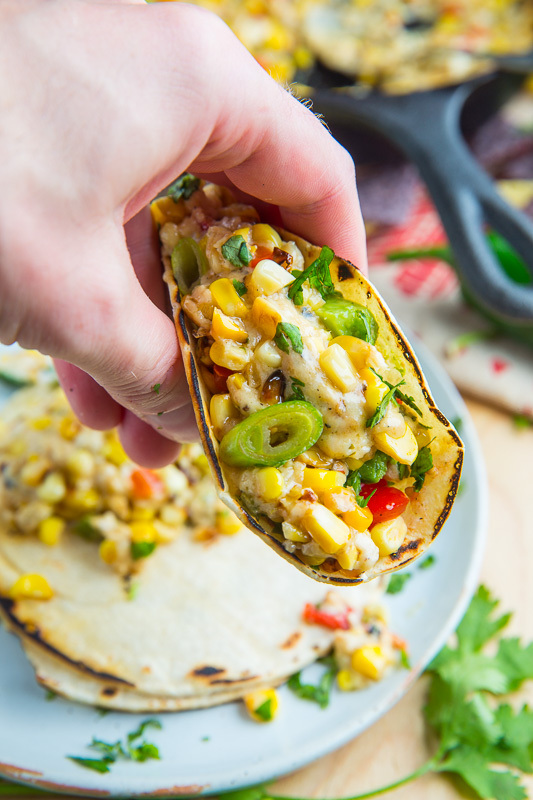 You would need to cut back on the cheese a little so that it would stay in the tacos but otherwise it makes for one tasty filling! 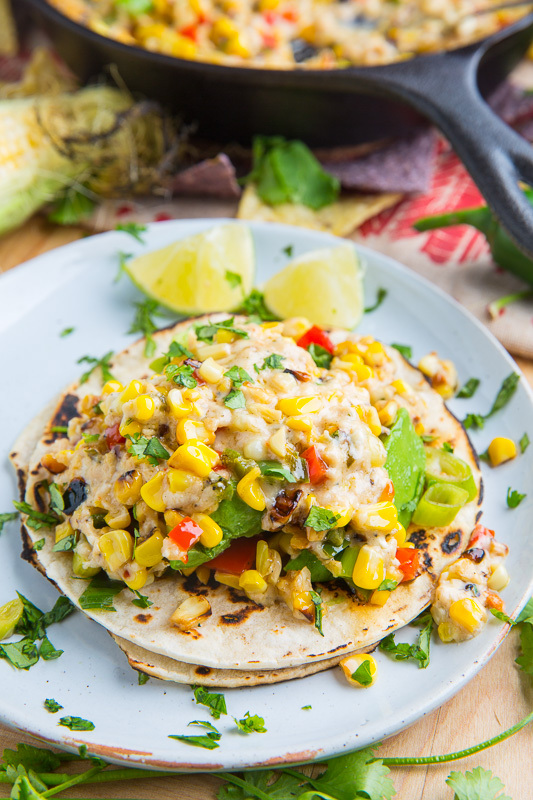 For these roasted corn queso fundido tacos I also add fresh avocado and a homemade pico de gallo making them the essence of summer in all of it’s cheese-y glory! 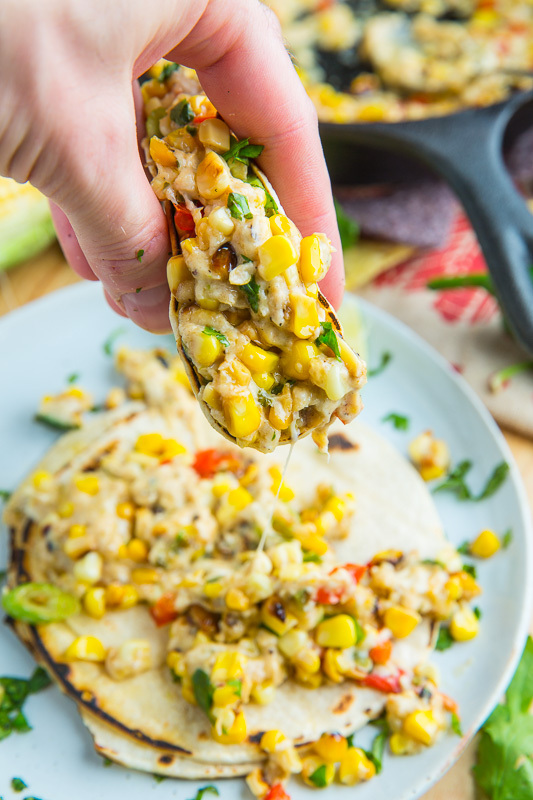 Of course you can go with the more classic route and add cooked chorizo sausage but they are already amazing just packed with all of that roasted corn! Yum! Option: Use your favourite taco topping! Option: Add cooked chorizo sausage to the queso fundido! I need this in my life asap! This looks incredible!